Does she want revenge for when he tempted her out of Eden oh so many years ago… or something else entirely? 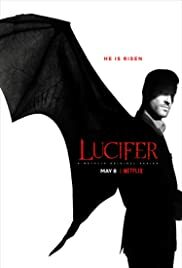 Lucifer Morningstar has decided he's had enough of being the dutiful servant in Hell and decides to spend some time on Earth to better understand humanity. He settles in Los Angeles – the City of Angels.